Nevada inched closer to launching real-money online poker as WSOP.com has posted a solicitation requesting players to help test its new software. A brand new signup page at the World Series of Poker website announcing that online poker for real-money is coming soon asks for players in Nevada to provide their contact information and date of birth to be among the first players to beta test the online poker platform. An age of 21 is required and it’s quite certain that age and identity confirmation practices will be employed. The WSOP brand is run by Caesars Interactive Entertainment, the Las Vegas-based gaming company that received an interactive gaming license from Nevada gaming officials last year. Caesars has partnered with 888 Holdings, the London-listed gaming company, to provide the software for the online poker platform. Caesars patiently waited for 888 to receive approval from the Nevada Gaming Commission, which ocurred last month. The commission has required that live testing be done prior to a real-money launch. It is anticipated that the initial testing will be done via a play-money format. So WSOP.com is actively seeking players to help facilitate the process. 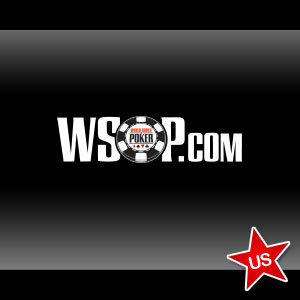 The WSOP brand is very popular and recognized throughout the world as the premier live poker tournament series. A real-money roll out date has not been announced. However, it appears that WSOP.com may be the first site to be up and running in Nevada. South Point Poker had a leg up on its competition last year and was preparing to be the first site to launch, but unforeseen testing delays put the kibosh on that plan. Whichever site manages to win the race would make history as the first legalized online poker website in the U.S.
WSOP officials are currently hosting a live tournament series in Australia, the first time ever that WSOP events have been held outside of the U.S. or Europe. The 44th annual WSOP is slated to begin May 29 in Las Vegas at the Rio All-Suite Hotel and Casino. A total of 62 events will be hosted that run through July 15. Launching real-money online poker at WSOP.com to coincide with this summer’s live festivities would be a marketing manager’s dream. However, if things go well in the testing phase, perhaps regulated online poker will be available in Nevada at WSOP.com prior to the start of the live WSOP events.